Leadership – The UCA Executive Committee is representative of the membership and provides strategic guidance for the UCA. The Committee and staff of the UCA are currently delivering on the UCA Vision with the main aim being to engage with Transforming Your Care. Partnerships – The UCA has strategic partnerships with a number of organisations with the aim of increasing the profile of pharmacy within the wider community and health sectors. UCA has a lead role with social enterprise PACT (Primarycare and Community Together) which is developing integrated health & wellbeing services. UCA's partnership with NIIRTA has brought significant synergies in support of small business at the heart of communities. The UCA maintains close links with other professional bodies, academia and trade colleagues. Government - The UCA pursues issues pertaining to community pharmacy in Northern Ireland, both professionally and within the industry, responding to consultations and engaging in discussions on matters relating to the pharmacy profession or business matters affecting our members. Advice & Signposting - for a wide range of pharmacy issues and general enquiries, the office team are available to source or search for information for members. Education and Training – The UCA liaises with various education and training agencies on the training of pharmacy staff. The UCA arranges or promotes training and information events to help members keep staff up to date on various topics and to provide Continual Professional Development (CPD) opportunities for pharmacists. Pre-Registration Support – The UCA liaises with all UK Schools of Pharmacy and and engage with undergraduates, ahead of the application process. During the placement year, the UCA offers a complementary training programme covering a wide range of topics to prepare students for their pharmacy career. Locum Online – This is a useful tool for pharmacies to secure cover and for locum pharmacists to share details of their availability. Business Services & Tools – The UCA facilitates or promotes information evenings on various business topics, The UCA office keeps members informed on important issues, such as new legislation, scams targeting pharmacy and other matters of relevance to community pharmacy. The UCA also offers employer documents as well as details of useful contacts and suppliers to pharmacy. The UCA have a number of resources for pharmacies, such as a Health Promotion Kit, to support health check and training events. If you are a service provider who may be able to offer preferential deals, please get in touch. Prescription Payment Support Service – Pharmacies can avail of expert help to ensure correct reimbursement. The UCA team can provide bespoke on-site assistance and staff training. In order to ensure that our members don't feel isolated and are kept up to date with matters affecting the sector, it is vital that we communicate well and provide opportunities for our members and their staff to network. 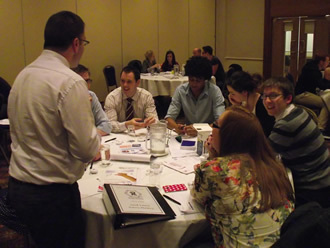 UCA Local – the UCA facilitates local networking groups for pharmacists to get together regularly to share issues and ideas, problems and solutions as well as CPD sessions. Email Alerts – urgent or important information is emailed to members or pharmacy teams as appropriate. 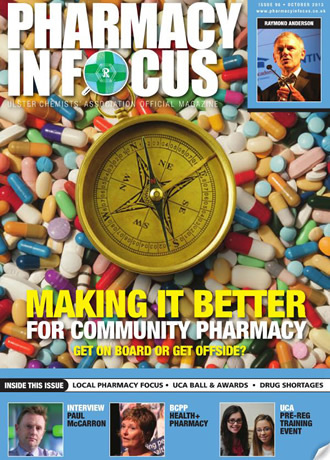 Publications - NI Pharmacy in Focus is our official publication and the only dedicated pharmacy magazine in NI. Our Diary & Yearbook is a vital reference guide for use in the dispensary or the office. Both these publications are designed and produced in conjunction with Profile Publishing. President's Ball & Pharmacy in Focus Awards – The UCA endeavours to bring its members closer together and what better way to do that, than its annual dinner dance. The incorporated awards ceremony promotes the commitment and successes of pharmacies and individuals from the community pharmacy sector. Promote & Share – As well as promoting pharmacy to the public through a variety of health campaigns, UCA collaborates with support organisations and patient groups in relation to patient services and works to create a flow of information to pharmacy professionals. Social responsibility has always been at the heart of community pharmacy from the largest groups, both national and local, to local independents in rural and urban areas. We all support our local communities, a unique selling point of community pharmacy and a benefit that should be highlighted with key stakeholders such as the public, our politicians and commissioners. The UCA encourages pharmacy teams and trade colleagues to raise funds throughout the year by taking part in various challenges and events. The UCA aims to maximise opportunities created through its partnerships, highlighting the fantastic charity work undertaken by pharmacy teams on an on-going basis. Current Charity Partner is ADDICTION NI. 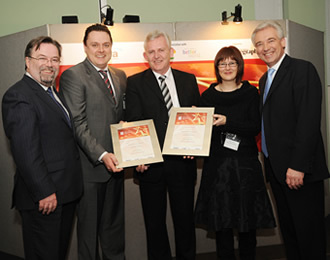 Pharmacy in Focus Awards – Pharmacy in Focus awards recognise and reward excellence in community pharmacy practice. Social Enterprise – UCA represented community pharmacy in the development of a social enterprise model backed by the Minister for Trade and Industry and the Minister for Health. 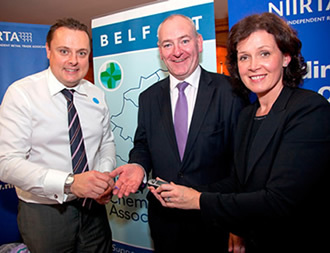 Primary Care and Community Together (PACT) - with the support of Invest NI, DETI and DHSSPS(NI) is a socially responsible business model which, through interagency working - including government departments and the voluntary sector, places pharmacy in the centre of the economic wellbeing of the community it serves.